For Internet of Things engineers, there’s a lot to be excited about these days, but one thing that’s been particularly inspiring to me – as a woman who is continuously on the lookout for talented software engineers – is the emergence of so many brilliant, dynamic women who are helping create the next generation of connected home experiences. While we still have plenty of work to do to create more diverse teams in software engineering, the progress we’ve made as a technology community is inspiring. If you visit one of our IoT centers of excellence in Philadelphia, Austin or Silicon Valley, you’ll find any number of scrum meetings that are mostly made up of women are being led by women or both. We know this is critical because diverse teams are more innovative. In a 2015 McKinsey & Company study, Mckinsey found that more diverse companies perform better financially. All the evidence we’ve seen – both anecdotal and empirical – reinforces the real-world value of diverse teams. We also know that any progress we make has an amplifying effect. When women engineers come to interview with us, they often ask to speak with other women in the organization. Having so many talented and diverse people to refer them to at all levels of our organization helps us attract critical talent. There are too many stories to share, but I asked three of my colleagues to tell their stories, and have collected those here. Jugnu Gupta is senior director of product management, leading the IoT products and partner ecosystem for Comcast. 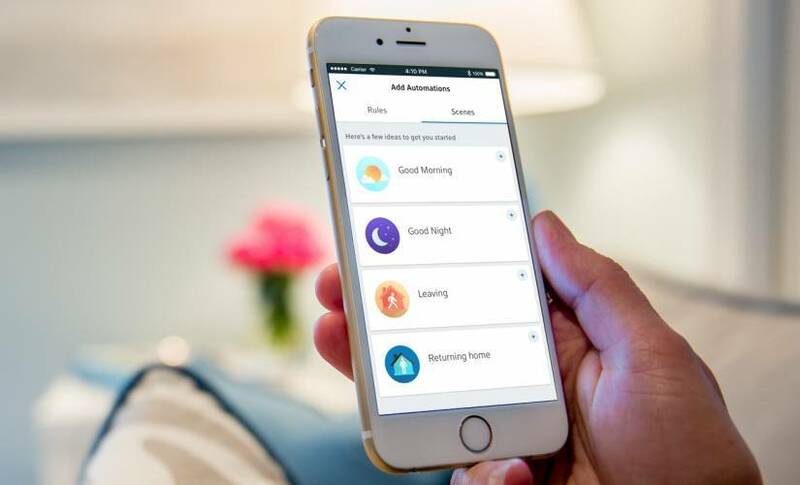 She focuses on building the technology behind the Xfinity Partner Program, which lets Xfinity customers control a large and growing array of IoT devices like Nest Thermostats, Philips Hue Lights, and August Smart Locks, all from their Xfinity Home hubs. Jugnu is also a leader on the team that built connected home “scenes” for Xfinity Home. This lets customers set simple scenes like “Good Morning” or “Leaving” that prompt Xfinity Home to seamlessly perform a number of actions like turning on specific lights, arming or disarming the security system, and adjusting the temperature. Tina Kim, a senior product manager on the digital home team, did not start her career at Comcast working on IoT products and experiences. Instead, she managed the powerful Platforms Rules Engine that the digital home engineering team leverages to build connected home products and services. To Tina, who is based in Comcast’s Silicon Valley Office, the IoT group was just one of many tenants using her team’s platform. As she started working closely with the Xfinity Home team, she became a personal convert to IoT as well, installing IoT devices at home and tinkering with them to find the perfect balance. Now she’s a firm believe both in the potential of IoT, as well as the importance of making it accessible to customers. For Sarju Mehta, Senior Manager of Software Development and Engineering on the Xfinity Home team, working in IoT was an opportunity she couldn’t pass up. Sarju started her work at Comcast on the team that was building the company’s e-commerce platform. While she thrived on that team which adopted the pace and urgency of a new startup, the appeal of taking on new engineering challenges was too strong when an opportunity opened up in the digital home team. Sarju works on the video platform team, which focuses on building greater intelligence and functionality into the recently redesigned Xfinity Home security cameras. For Xfinity Home customers cameras play a critical role in providing peace of mind, and Sarju’s team has been working to make them better and smarter. Improvements included AI-powered computer vision and more seamless integration with other Xfinity products including apps and the X1 platform. “People use our cameras to have peace of mind in terms of their security needs. My job is to ensure that performance and reliability always stay in the forefront of our minds because they are fundamental to our products’ success,” Sarju said.